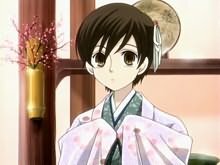 In December 2006, the members and visitors of All Anime World voted for the "Cutest Anime Girl 2006". Collected by email our members and visitors entered 16 girls into the contest during the last weeks of November. The only requirements: All girls had to be anime characters and may not have won already. Focusing on cuteness and cuteness alone, 1020 people voted for the Cutest Anime Girl 2006 between Dec 1 and christmas evening. Of these 1020 votes, exactly 1000 votes were given anonymously leaving only 20 registered members votes. (My vote included!) Even though we've been a little late this year due to technical problems, we managed to increase the number of votes further, thus giving a much more reliable result. 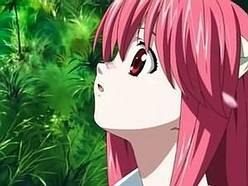 I really regret to have never seen Elfenlied. Looking at the images the results look reliable enough. This is now the official accouncement of the winners in our Cutest Anime Girl 2006 contest. As promised, a copy of Hayao Miyazaki's masterpiece "Castle of Cagliostro" (2006 remake, digitally remastered, with widescreen presentation, Interview, Trailers and Storyboard) is looking for it's new owner. (That's great having the 20 sided dice and exactly 20 members who voted for their favorite Cutie.) This years price goes to our member "ayamiyu." Please expect my email soon.